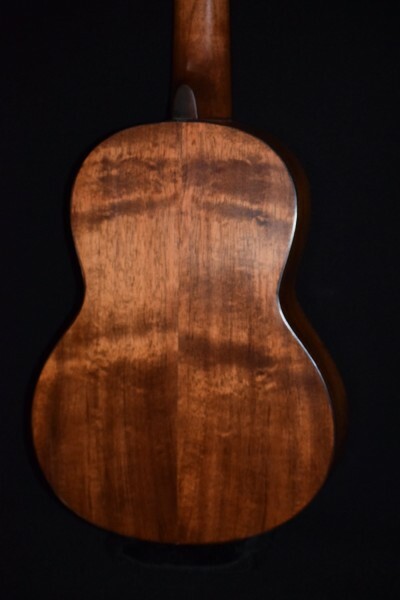 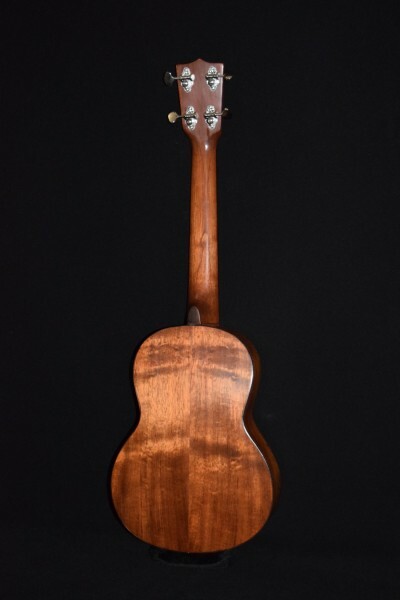 Identical in every way to our traditional-style koa tenor 4, except for the epaulet soundholes. 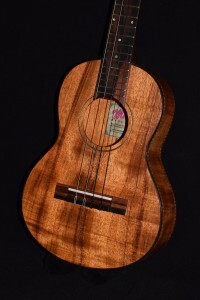 (“Double-puka” soundboard design makes it slightly louder, more unique-looking.) 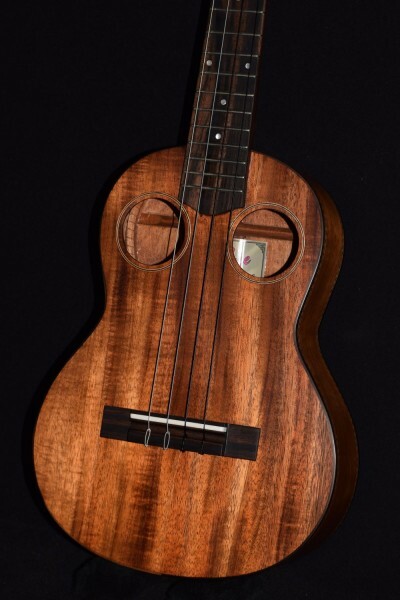 Entirely handmade professional-quality instrument at a fraction of the price of any other brand-new handmade solid Koa tenor 4 we’ve seen anywhere. 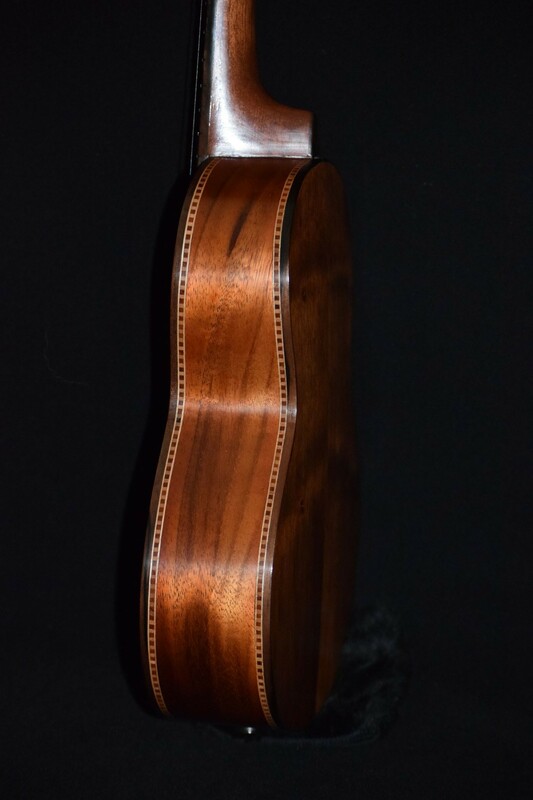 26″ long, 19 hand-set, leveled and crowned nickel frets. 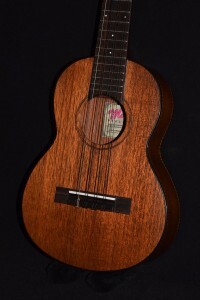 Mele 18 to 1 precision-geared nickel-plated die-cast tuners. 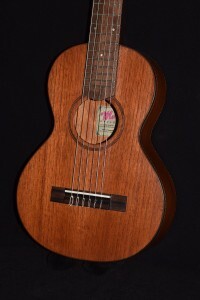 Ebony fingerboard, nut, bridge and binding, Corian saddle. 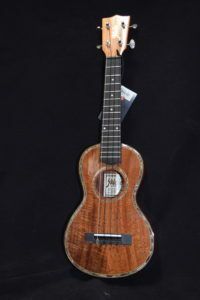 The tenor ukulele is the size you’ll see most professional ukulele players use, whether at a luau or in the recording studio. 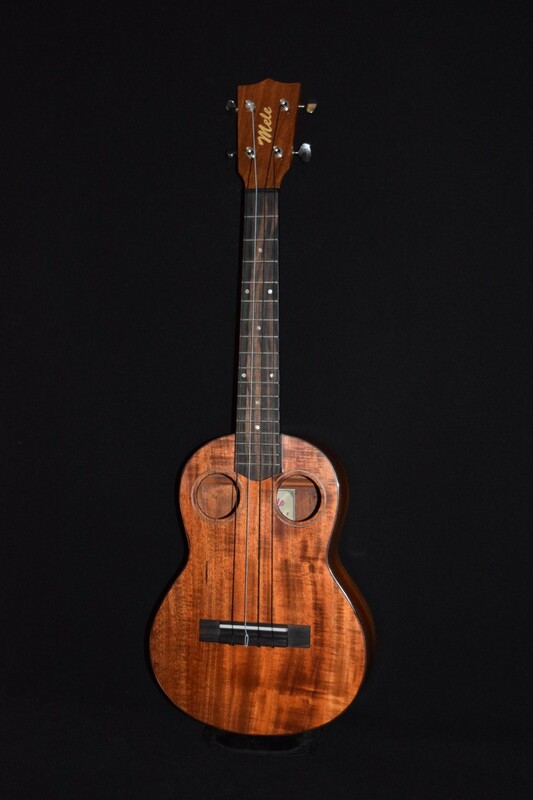 It has a bigger, fuller tone and more range than soprano or concert-sized ukes.